Many thru-hikers use the AT as an excuse to gorge on anything light, tasty, and oh-so bad for your arteries. Lucas and I both know that we function optimally on clean, low-glycemic foods. Below is our list of healthy hiker grub. Breakfast: Even a life of get-up-and-go needs a little routine. We plan on boiling water for coffee and oatmeal in the morning, with granola or trail mix thrown in. Warm liquid to slurp and hot food seems like a good way to get our minds ready for another day of carrying 20+ pounds through the woods. Snacks: About half our daily calories will come from snacks. Lunch: Around midday we will take a longer, hour-long rest. We’ll eat our lunch along with the snacks mentioned above. Dinner: We plan on eating a warm, stick-to-your-ribs dinner each night. If it is raining, we might settle on “lunch” foods. For extra calories, we’ll add sporkfuls of coconut oil or olive oil. 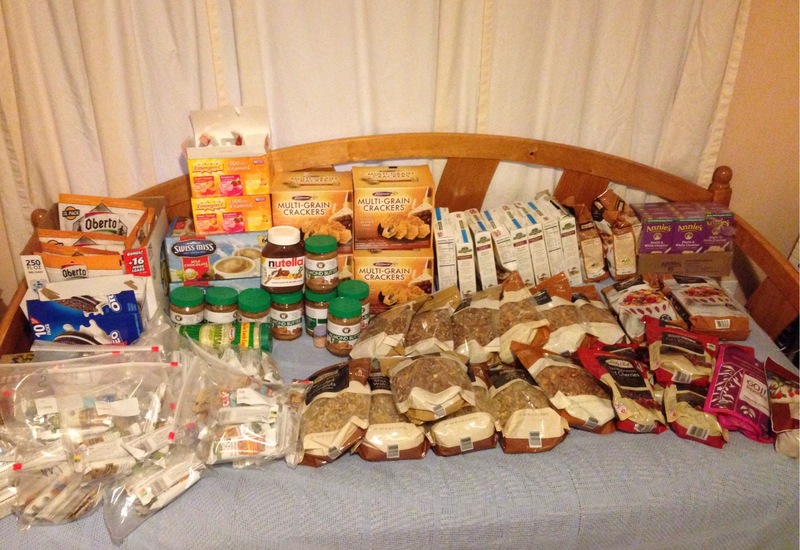 For more information on how we picked specific foods, check out Backpacking Nutrition.